Natural Solar customer Steve Fenech talks about his Sonnen Flat solar and battery solution with ABC News. A revolution in solar power with battery storage is changing the nature of Australia’s energy grid. Today Chief Scientist Alan Finkel released a report on the potential for energy storage, which found reliability and security requirements may be met with readily available technologies. 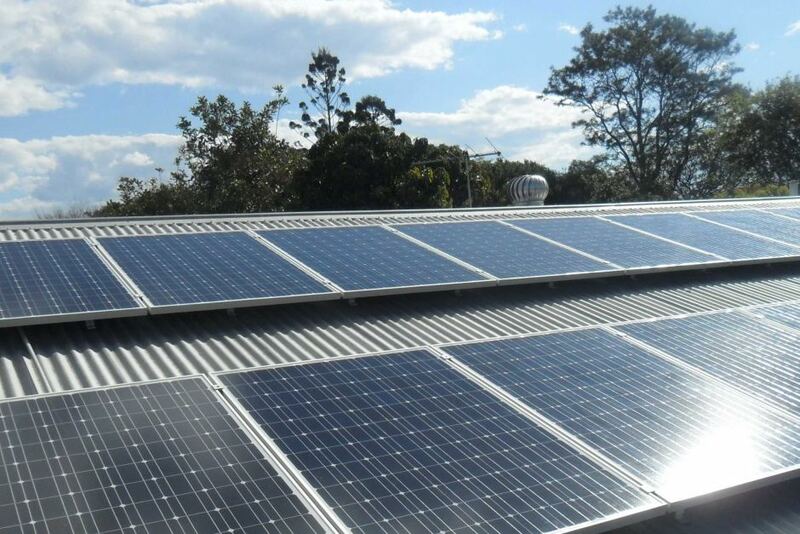 And already, skyrocketing power prices and plummeting solar panel costs are fuelling an Australian boom in household power generation, where residents are joining what is described as a “virtual power station”. Technology now enables owners of solar panels and batteries to feed their surplus power into a network of other residents with batteries and then share the energy when they need it. A few weeks ago Stephen Fenech took the plunge. Sick of his rising power bills, he bought solar panels plus a smart battery from German supplier Sonnen. 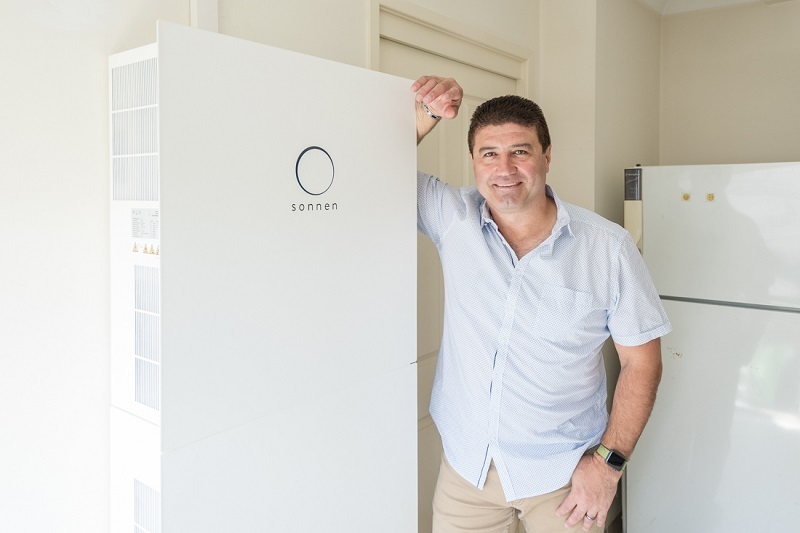 After an initial outlay of more than $20,000, Mr Fenech now pays a small flat rate to Sonnen which networks his battery power with others. The fee to Sonnen is “less than what I pay for my mobile phone a month”, he said. “Sonnen will eventually become my power company. He said he had already seen a massive reduction to his power bills. Sonnen’s managing director, Philipp Schroeder, said they sell customers’ excess energy back to the grid when the price is high. “Just imagine yourself and your home and your solar system, and imagine hundreds and thousands of other users — might be in Melbourne, might be in Sydney, might be in Brisbane — and whenever one of them is lacking in electricity the others are supplying electricity to you,” he said. Energy expert Kobad Bhavnagri, from Bloomberg New Energy, said it was “a huge revolution”. Mr Fenech felt there was no time to wait. “I think in five or ten years’ time, one can only wonder where the energy prices are going to be. They’re going to be a lot higher than they are now, they’re not going to go down any time soon, or ever,” he said. Click here to take advantage of our ABC $1000 discount valid until November 30!